On the other hand, if you’ve been driving since your teens, the thought of letting your car go may seem daunting, or even impossible. Yet it’s far from that! Let’s take a look at alternative ways to get you where you need to go, and explore some of the benefits of choosing a car-free retirement lifestyle. Trains, buses and ferries offer a regular (and mostly reliable) service and as a Seniors Card Holder you can even save on your fare. If you haven’t used public transport lately, give it a go! Apart from saving money on fuel and parking, you won’t have to worry about facing the traffic. Let the bus driver deal with that! And if you travel in off-peak times, you won’t have to deal with crowds of workers either. What a great opportunity to get to know your neighbours, especially if you’ve recently moved into a retirement village! If it’s nothing urgent – a letter to post, or picking up a box of cereal – then many people would be happy to do that for you on their next trip. If it’s a larger grocery shop or a doctor’s appointment, then plan ahead and go with them. Making a small contribution towards their petrol will work out much cheaper than running your own car. A taxi is still a reliable way to get around; plus now through your smartphone you can also access convenient ridesharing services such as Uber and Ola. Often cheaper, these vehicles are privately owned by friendly, local drivers, and you can even get an estimate of the cost before you book. Many stores including pharmacies offer a delivery service. You can order online or over the phone with same-day delivery. You’ll find friendly store owners will bend over backwards to help out a senior customer. And even if you decide to keep your car, you can still save money by having items delivered. 5) Get on your bike! If you’re fortunate enough to live in an area (such as the Redlands) that has a safe network of bike paths, then riding can have many benefits. After your initial investment, the running cost is incredibly low. Once you’re used to being in the saddle again, your body will thank you for the aerobic workout, the fresh air and sunshine – and you’ll pick up some muscle tone to boot! You might also pick up some riding friends to make your journeys more social and safe. If riding seems too much like hard work, have a look into electric bikes with pedal-assist. Walking is still one of the best forms of exercise – and what’s more, it’s free and it’s perfect for short errands to the local shops. Once you build up your fitness level you might find you want to pop out for a stroll every day. Remember to build up slowly, and don’t load yourself up with the weekly shopping on your first trip out! Think about finding a walking buddy or two to make the trip more safe and enjoyable. Just because you’ve always driven everywhere to everyone, doesn’t mean you still have to! Now that you’re retired, invite your friends and family to come to you. Ask them to pick up a few things on the way, or take you to do some errands while they’re visiting. Living independently doesn’t mean you always have to do everything yourself! It might be easy enough to get around your local area or into the city without a car. How is it going to work if you want to go on a driving holiday? You may be surprised to learn there are many more options available now than ever before. If you just want to head off on holiday for a few weeks, hiring a car or campervan can be a viable option. You’ll have a fully serviced vehicle to drive and you only have to pay for the time you use. Compared to the expense of keeping your car on the road for 12 months and having it serviced every time you plan to take it for a long road trip, it’s an affordable option too. Your retirement village may well organise regular group tours to interesting destinations. As well as saving you money on fuel – and saving you the stress of driving – you’ll get to meet fellow retirees and build friendships. Check with your retirement village about whether they offer group tours. Did you know you can enjoy a free (or almost free) one-way driving trip in a car or campervan? Hire companies constantly need vehicles returned to their original destination. They list these requests on websites such as Imoova and Transfercar. The hire companies will sometimes even chip in for petrol! You’ll have to find your own way back, but one-way flights are easy to find. It could be the start of a wonderful adventure! 1) You’ll save money – lots of it! The cost of car ownership could be much more than you think! Once you include registration, insurance, scheduled and unexpected maintenance, regular servicing and fuel, your average sized sedan costs you around $10,000 every year to run. Then there’s parking fees (and fines if you miss the meter), tunnel tolls and auto club membership. Not to mention all the expenses involved when it’s time to upgrade to a newer vehicle! Without the option of just jumping into the car, you’ll be obliged to move your body much more often. It’s all too easy to drive the car a short distance when you could easily walk. Moving your body more will benefit your overall health and wellbeing. Giving up your car is a great way to make a real difference in the world. You’ll no longer be burning fossil fuels or creating carbon emissions – both positive choices for our planet. Think what you could do with the space where the car used to be! Create a craft room, have a place for tinkering with tools, make a rumpus room for the grandkids? 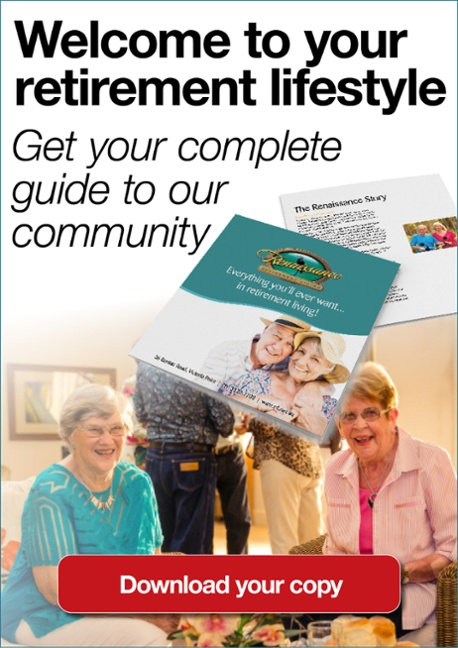 All options that can improve your retirement lifestyle. Will you miss having a car in retirement? If you’re used to having a car, there’s no doubt it might feel like a necessity. But in reality it’s a choice. At times you’ll miss the convenience, for sure. Yet as we’ve seen, the case for going car-free stacks up very well. So weigh up the advantages, look into the alternative services available in your area, and make the decision if and when the time is right for you. Living independently in a community like Renaissance Retirement Living at Victoria Point provides you with the freedom to truly enjoy your retirement, while having access to what you need, when you need it. Renaissance is right next door to the Victoria Point Shopping Centre where you’ll find all the services you need such as doctors and health providers, plus a host of great shops and wonderful dining options. As a resident you can enjoy the convenience of the private village bus for shopping days, lunches, concerts and day trips. Public transport is close by – the Victoria Point Bus Exchange is just a few steps from the main gate. From there you can hop on a bus to virtually anywhere in Australia!